Addiction is a devastating and all-embracing disease. Family members are often as profoundly affected by the illness as the person who suffers from it. Imagine what a child must think watching a parent descend deep into addiction, changing from a loving and nurturing mother into a hostile, screaming stranger. But there is hope for addicts and their families. This book is about Janey, a young girl whose mother has entered a center for addiction treatment. Written in easy-to-understand language with brightly colored illustrations, Mommy’s Gone to Treatment addresses issues children often face when an addicted parent seeks help. Included is a parent’s guide with important talking points on easing a child’s apprehension when someone they love confronts their illness. Here is an opportunity to listen in on fascinating conversations with people who found God when they didn’t really want to and weren’t even looking. 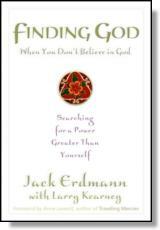 Through a series of deeply personal interviews with individuals from different walks of life, the authors conduct a captivating discourse on discovering a "higher power." The interview subjects are not proselytizers, nor are they interested in comparing spiritual states. Their stories are neither tidy nor definitive. What they offer, however, is a remarkable, refreshing, and ultimately satisfying mosaic on the meaning and manifestation of God. After a two-decade battle with addiction, Guns and Roses member Adler has managed to put together six months of clean time, he told The Daily Times this week — and that makes the past six months a rebirth of sorts. "Making it one day is a long time, and I’ve made it, like, six months," he said, voice filled with jubilation and the enthusiasm of newfound sobriety. "The last time I did anything goofy like that was on the show ("Sober House," a VH-1 reality show spin-off of "Celebrity Rehab," both of which featured Adler), when I got arrested (last summer). I’ve been so lucky, and I’ve got a great team of people around me; I’ve got my best friend Slash back in my life; and I’m happier than ever. "It’s like I’m seeing things for the first time. To have survived everything I went through — a stroke, the band — and get a second chance at life, it’s crazy. And I’m so grateful I did those two shows. As much as I despised rehab and the whole AA (Alcoholics Anonymous) crap, it works!" "I just wanted to give myself a chance to get better than I was yesterday. That first few weeks were the toughest, because once the drugs wear off, all of the emotions come out. The hardest part to get through was that first month." In this study participants who watched films accompanied by alcohol commercials were more likely to drink beer or wine during the movies than those who viewed the flick minus the alcohol ads, according to researchers. HealthDay News reported March 4 that the study involved 40 young Dutch men ages 18 to 29 who were invited to watch the movie ‘American Pie’ (which contained extensive drinking scenes) or ’40 Days and 40 Nights’ (which only had a few scenes with alcohol) in a home cinema equipped with a stocked refrigerator. Those who watched the films interrupted by two alcohol ads drank more than the control group, and those who watched American Pie drank more than those who viewed 40 Days and 40 Nights. "Our study showed that the portrayal of alcohol and drinking characters in movies directly leads to more alcohol consumption in young adult male viewers when alcohol is available within the situation," the authors concluded. "It’s one of those things the majority of people have assumed to be the case, but it’s nice to have the empirical evidence," said Jeffrey T. Parsons, chair of the psychology department at Hunter College, who was not affiliated with the study. The research was published online in the journal Alcohol and Alcoholism. Alcohol is a drug – TOO! Alcoholism treatment has evolved to mean professionalized, scientifically based rehabilitation. 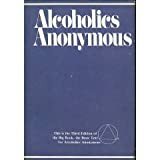 Alcoholics Anonymous (AA) is not a treatment method; it is far better understood as a Twelve-Step Recovery Program within a voluntary self-help/mutual aid organization of self-defined alcoholics. The circle represents the reinforcing effect of the three legs upon each other as well as the "technology" of the sharing circle and the fellowship. The first leg of the triangle, recovery, refers to the journey of individuals to abstinence and a new "way of living." 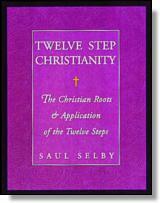 The second leg, service, refers to helping other alcoholics which also connects the participants into a fellowship. The third leg, unity, refers to the fellowship of recovering alcoholics, their groups, and organizations. The distinctive AA organizational structure of an inverted pyramid is one in which the members in autonomous local groups direct input to the national service bodies creating a democratic, egalitarian organization maximizing recovery. Analysts describe the AA recovery program as complex, implicitly grounded in sound psychological principles, and more sophisticated than is typically understood. AA provides a nonmedicalized and anonymous "way of living" in the community and should probably be referred to as the Twelve-Step/Twelve Tradition Recovery Model in order to clearly differentiate it from professionally based twelve-step treatments. From; Borkman T. The twelve-step recovery model of AA: a voluntary mutual help association. Recent Dev Alcohol. 2008;18:9-35.